Back to the roots. This fifth part of the franchise is fulfilling all expectations. While Johnny Depp & Co. are replaying some of the best scenes of the first three films with only a few variations, a superior Brenton Thwaites and the returning Geoffrey Rush are in full cry. Six years ago Disney tried to place Jack Sparrow in a completely new context. But a lot of the spirit of this Franchise got lost by this attempt. The result wasn’t that bad, but only an ordinary movie, nothing to watch more than once. Therefore, it’s no surprise, that those forth movie can be forgotten – only the Black Pearl in the bottle is returning now, everything else relates to the ending of the original trilogy. And with this new part of the franchise, the best elements of the trilogy are returning, getting enhanced and newly mixed up. Especially the 3D-ghost-pirates are fabulous. Johnny Depp is playing Jack Sparrow as expected and without any surprises. Brenton Thwaites on the other side isn’t only touching the heart with his interpretation of Will Turner's son Henry. Furthermore his interactions with Kaya Scodelario is extraordinary. 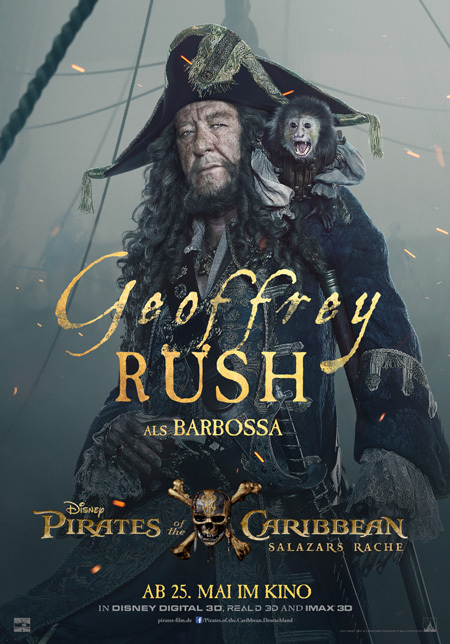 And on top of this there comes Geoffrey Rush. He is showing us a new family site of his character and is again growing his play of Captain Barbossa. “Dead Men Tell No Tales” can exceed the expectations fans of the series have. The entertaining level is high, film editing, atmospheric lighting, mask, 3D-effects, and last but not least the well-known music fit perfectly together. Luckily the director-team Joachim Ronning and Espen Sandberg have found a good balance between story-telling tempo and dialogues. This results in a permanent level of tension and entertaining that remains till the obligatory bonus-scene after the end titles. If you want to find something negative, you could point out that the main conflict “son has to fullfill impossible mission to secure his father” has just been moved from one generation to the next. On the other hand by trying nothing new the producers could be sure that the film wouldn’t hit any tropical storms. 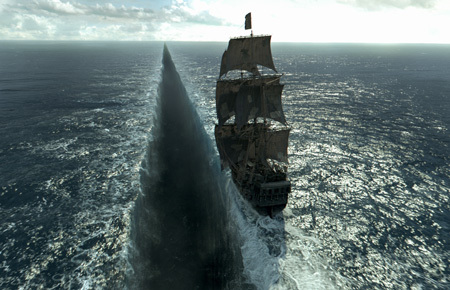 All in all, this fifth Pirates-of-the-Caribbean film is worth seeing – especially in 3D with some of the most satisfying effects of this season.